Pinup Contest | Whats Happening? Come celebrate the 4th with our friends at 2nd and Green (HB2) and the BTN crew!! 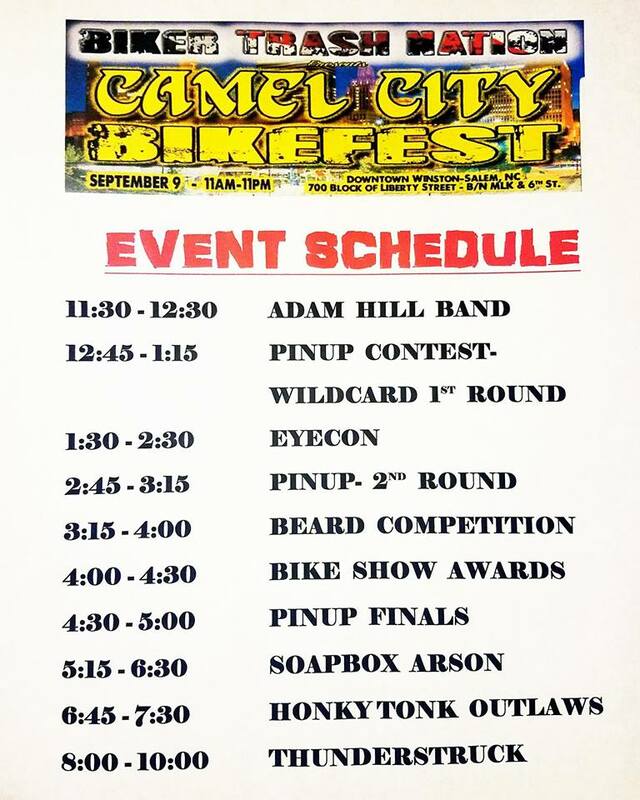 Ladies this your last chance to enter a pinup contest before the big one at Camel City Bikefest! The winner of this will automatically advance to the finals. We need sassy, classy, badasses to bring your best pinup/rockabilly look! This contest is right on the heels of the Heavy Rebel Weekender so that should give you plenty of pinup inspiration. You do not want to miss this!! 2nd and Green know how to throw the most epic parties in town and they will have a parking lot party with live music kicking off at 4. They also have the best view for the fireworks display at the Dash game so we will finish it out with a bang! !